Bitcoin mining is a process in which millions of computers from around the world participate in on a daily basis. Bitcoin uses a global public ledger to keep track of all transactions that have taken place in the past, with each group of transactions being referred to as a block. Mining consists of adding data to the ledger. Bitcoin’s ledger is called the blockchain and contains a record of all transactions that have taken place on the network. Every Bitcoin client uses data from the blockchain to verify that transactions are legitimate. Bitcoin mining is a process that requires a lot of computing resources. This ensures that the quantity of new blocks found every day remains steady, leading to a limited supply of coins. Every individual block in the blockchain is validated through a proof-of-work (PoW). Every time other nodes receive a block, they verify the PoW as well. The verification process prevents coins from being spent twice and ensures that transactions can’t be reversed once they’re entered on the Bitcoin ledger. Are New Bitcoins Created During the Mining Process? Mining has several purposes in the Bitcoin network. It’s primarily used to let Bitcoin nodes reach a secure consensus, which is what allows transactions to be processed. Whenever you mine Bitcoins, you’re helping other users send and receive coins in a safe and tamper-proof way. But one of the main attractions of Bitcoin mining is the fact that it allows participants to create new coins, which are called block rewards. The Bitcoin system has been designed to distribute new coins in a decentralized manner, so all those who participate in the mining process have a chance of receiving some of the newly-created coins. When Bitcoin first came out, individuals were easily able to mine coins using their home computers. But over the years, the total amount of mining power (hashrate) available on the network has increased steadily, which made it increasingly difficult for a single miner to solve a block and thus earn the payout associated with it. In order to solve this problem, Bitcoin mining pools were introduced. Pooled mining uses a collaborative approach to solving blocks, with each individual miner contributing towards the effort. When a new block is found, the rewards are split among participating miners depending on how much processing power they’ve contributed. The more processing power a miner contributes to the pool, the bigger their share will be. Bitcoin mining has evolved significantly over the years, as the processing power available to the network has grown and the difficulty in finding a new block has increased. At first, it was relatively easy to mine Bitcoins using a standard home computer. Then, as difficulty increased, people started building custom mining rigs consisting of several GPUs connected together. Finally, the difficulty increased so much that mining Bitcoins would require specialized hardware that has been built for the sole purpose of mining Bitcoins and other cryptocurrencies based on the same algorithm. 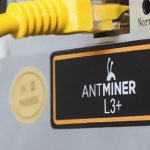 While home mining is still possible, it does come with several drawbacks. The costs of buying the necessary hardware to get started are very high. 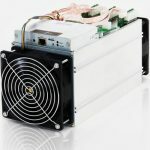 You should also know that Bitcoin mining uses a lot of electricity, as it involves running computer systems at full capacity around the clock. 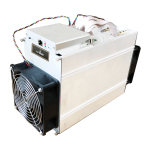 This can make a home mining operation unprofitable depending on the energy costs at your location. 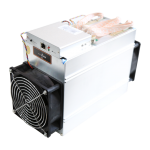 Today, most people who mine Bitcoins do so by purchasing a cloud mining contract for a specified amount of TH/s. With cloud mining, all the hardware is hosted remotely in a data center, so there is no need to worry about purchasing or maintaining your own mining equipment. You can also get started almost instantly, without having to wait for your mining equipment to be delivered and set up.